They say that songs and scents are among the most powerful ways to conjure reminiscence. Sunday night’s Boston concert at Sands SteelStacks did just that for me. 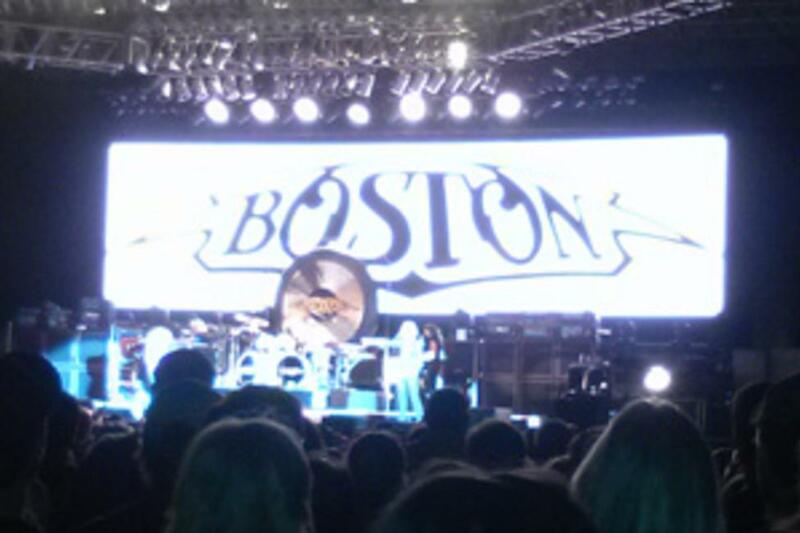 Sitting there among the packed audience under the stars on that sultry summer night, with the smell of Musikfest goodies and beer wafting into my nostrils and Boston belting out their songs just as they did in 1977, sent me right back to high school. The group members juxtaposed old and new as several new additions complemented some original artists, but the sounds were authentic and the energy outstanding. Starting with Rock & Roll Band, and reeling off hit after hit, to More than a Feeling, and Long Time, the group interspersed longtime favorites with incredible instrumental interludes. Curly, the drummer, went nuts whaling away and setting a beat that resonated rhythmically in my chest. It was the heartbeat of the music that brought together everyone in the audience. Some new things made the group even better. The audio equipment on stage was impressive and elaborate, and probably worth more than many people’s retirement portfolios. We enjoyed some incredible visuals too -- pictures and swirling lights projected behind the band that sucked you in if you stared at it for awhile. Video clips of the original band again contrasted the old alongside the new. And as the evening descended, the predominantly middle-aged audience also seemed to transform a little as the cloak of night and the vigor of the group made us all look and feel just a little bit younger. Guest blogger Laura Eppler is the Director of Marketing at Ben Franklin Technology Partners of Northeastern Pennsylvania.